A home for sale on Mulberry Street in Stansbury Park. 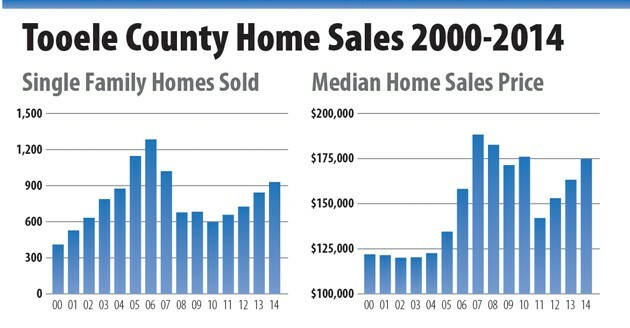 The total number of homes sold in the county rose 10.3 percent in 2014. 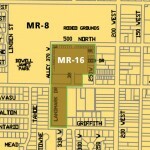 A lot for sale on Parkview Drive in Stansbury Park. The number of new homes listed for sale in 2014 increased 7 percent. After three years of solid growth the median sales price of a Tooele County home has reached a new post-recession high. The median sales price for homes in Tooele County in 2014 was $174,900, according to a report from the Wasatch Front Regional Multiple listing Service. That is $11,650 more or a 7.1 percent increase over the 2013 median sales price of $163,250. 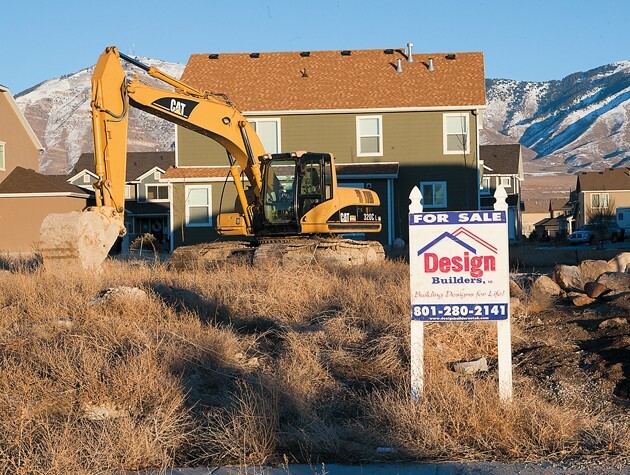 Other statistics in the report also indicate that 2014 was a good year for real estate sales in the county, according to Andrea Cahoon, president of the Tooele County Association of Realtors. The total number of homes sold in the county rose 10.3 percent from 842 in 2013 to 929 in 2014. The total number of new homes listed for sale in 2014 was up 7 percent at 1,512 from 1,413 in 2013. 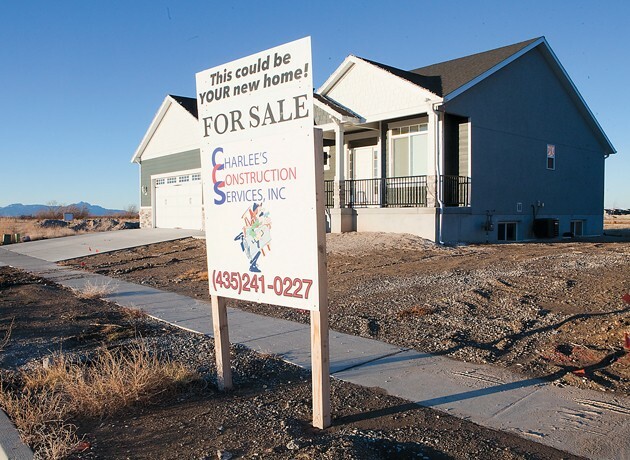 Low interest rates, along with low prices compared to other Wasatch Front locations, have combined to boost home sales in Tooele County, according to Cahoon. Along with new families moving into the county, local real estate agents are also seeing more local families looking to move up to a larger home. “With the increase in home values, many homeowners have recovered the value of their home that was lost during the recession, making it possible for them to sell and move up,” Cahoon said. The positive trend in real estate is good news even if you aren’t buying or selling a home, according to Chris Sloan, broker for Group 1 Real Estate Tooele. An increase in home sales volume means more business, not just for real estate agents, but also for title companies, lending agents, contractors, construction workers, and other workers. 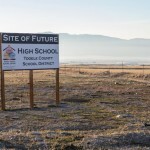 Sloan said residential growth also leads to commercial growth, which means more new retail stores and other industries that people in Tooele County have been waiting for.